An excerpt from Old Gods, New Enigmas: Marx’s Lost Theory. Lee Gregovich’s injunction has been rattling around my brain for more than half a century. A good friend of my dad, he was, I suppose, my “red godfather.” His family, like many others from the Dalmatian coast, had emigrated to the copper mines of the American Southwest before the First World War. There they were embroiled in epic labor convicts. Lee told rousing stories about his days as an IWW paper boy, selling the Industrial Worker in saloons and cathouses, and then watching as his father and 1,300 other striking miners, mostly Mexican and south Slav, were arrested by Phelps-Dodge vigilantes, put in manure-floored cattle cars, and “deported” to a bleak stretch of desert in New Mexico. In the 1930s he became active in the Cooks Union in San Diego and joined the Communist Party. The House Committee on Un-American Activities brought its inquisition to San Diego in 1954 and Lee was subpoenaed and then blacklisted by employers. He finally found a job cooking at the Chicken Shack, an old-style roadhouse near the picturesque mountain town of Julian. Little had changed when I joined the Southern California Communist Party in 1968 in solidarity with their stand against the Russian suppression of the Prague Spring. I was flabbergasted that new members’ political education consisted solely of reading Julius Fucik’s Notes from the Gallows — the stirring last testament of a young Czech Communist executed in 1943, but hardly an introduction to Marxism. My own knowledge was limited to the Paris Notebooks and bits of The German Ideology, recommended in a popular book that I had read on Marx and alienation. The only member of the L.A. Party, young or old, who seemed to have a serious understanding of Marx, and indeed was reading the Werke in German, was newly recruited Angela Davis, and she was fighting too many important battles to have time to tutor the rest of us. Now you know all, since I’ve said plenty of nothing to you! If you gave G. W. F. a detour, you might discover, with the aid of interpretations by the Marxist Humanists then in vogue, the inspiring Marx of the Paris and Brussels years. (The Holy Family , however, never made my reading list since the only person that I’ve ever known who read it was on acid at the time.) But then, once you thought that you had learned to walk, Althusser came along and the Young Marx suddenly became the Wrong Marx. With few exceptions, however, the Marx of the Rue Elm and other seminars was disembodied from the “man and fighter.” The works most infused with the passion of the barricades, the extraordinary political analyses of the 1848–50 cycle, were usually ignored by the philosophers. In my unsuccessful autodidact years, Marx seemed either emulsified in incompatible doctrines imposed by party ideologists (Diamat, for instance) or hidden away in mysterious untranslated manuscripts. In addition, it was almost impossible to gain an overview of the oeuvre since the publication of the English version of the collected works was still years in the future. Martin Nicolaus’s translation of the legendary Grundrisse in 1973 — a milestone of the New Left Review/Penguin Books collaboration — considerably leveled the playing field for non-German readers, but it also added 900 pages of required study to the several thousand pages of the four volumes of Capital. That same year, after losing a coveted niche in the trucking industry, I started UCLA as an adult freshman, attracted by rumors of a high-powered seminar on Capital led by Bob Brenner in the History Department. Brenner and his gang (Richard Smith, Jan Breidenbach, Maria Ramos, and others) were reading Capital in the context of debates within British Marxism on agrarian class struggles and the transition from feudalism to capitalism. Later the seminar moved on to crisis theory and twentieth-century economic history. It was an exhilarating experience and gave me the intellectual confidence to pursue my own agenda of eclectic interests in political economy, labor history, and urban ecology. Apart from Hal Draper’s Karl Marx’s Theory of Revolution and Michael Löwy’s The Theory of Revolution in the Young Marx, both indispensable, I lost interest in Marx studies as it turned from the modes-of-production debate to intensely microscopic battles over the value form, the transformation problem, and the role of Hegelian logic in Capital. “Theory” in general, as it became disconnected from real-life battles and big historical questions alike, seemed to take a monstrously obscurantist turn toward the end of the century. I could never imagine Lee Gregovich imploring anyone to “read Jameson, read Derrida,” much less to wade through the morass of Empire. Over the years my Marxism became rusty, to say the least. But there comes a time when every old student must decide whether or not to renew their driver’s license. And reading Daniel Bensaïd’s Marx for Our Times, a spectacularly imaginative reinterpretation that breaks free of talmudic chains, whetted my appetite for a fresh look at the “non-linear Marx” that Bensaïd proposes. Retirement from teaching, then a long illness finally gave me the leisure to browse through the Collected Works of Marx and Engels now in English and, in a pirated version, available for free online. Amongst recent writers who have made brilliant use of the Collected Works are John Bellamy Foster, the editor of Monthly Review, who has carefully reconstructed Marx’s powerful ecological critique of capitalism — a new and exciting topic, particularly in light of later socialism’s fetishism of large-scale agriculture; and Erica Benner, who provided an invaluable recovery of Marx’s usually misrepresented views on nationalism. 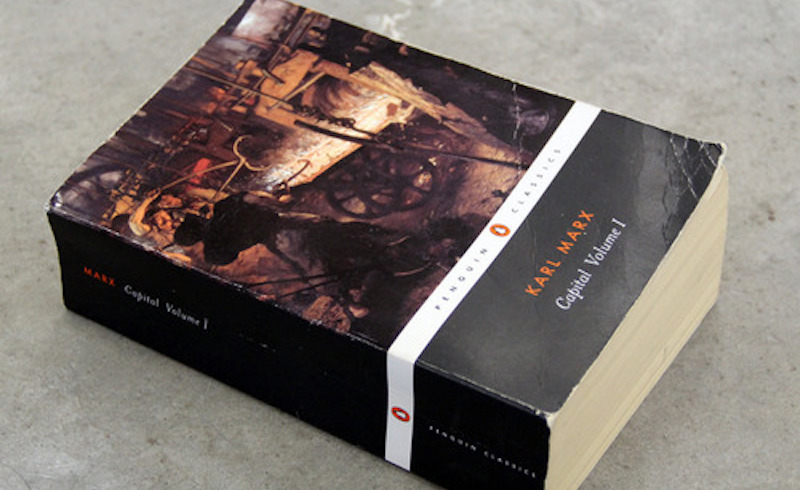 And the mother lode has hardly been mined out: for example, Marx and Engels’s hundreds of pages of acerbic commentaries on the deep games of nineteenth-century European politics, especially the geopolitical chess match between the British and Russian empires, clearly warrant a major new interpretation. Likewise, it would be illuminating to compare his theoretical writings on political economy with his concrete analyses of contemporary economic crises such as 1857 and 1866, topics usually assigned to the footnotes. More generally, I suspect, “Marx on the conjuncture” should become the new slogan of Marxologists. The panoramic view of the oeuvre now available also makes it easier to recognize the blind spots and misdirections in the collaboration of Marx and Engels. The former, for instance, never wrote a single word about cities, and his passionate interests in ethnography, geology, and mathematics were never matched by a comparable concern with geography (later the forte of anarchists such as Élisée Reclus and Peter Kropotkin). He was relatively untraveled, and only at the very end of his life, desperately sick and seeking the sun, did he venture outside Western Europe. His letters from Algiers, praising the culture and dignity of the Arabs, indicated his capacity to transcend Eurocentric categories and revel in the newness of other worlds. (Alas, if only he hadn’t been so wracked by illness and family tragedy.) The United States was another paradox. Its protean future was often on his mind — he was after all a correspondent for the New York Tribune — and he and Engels worked mightily to win support for Lincoln and Emancipation within the British labor movement. Yet, despite having read Tocqueville, he never focused on the unique features of its political system, especially the impact of early white-manhood suffrage on the development of its labor movement. There can be no question that Marx saw far beyond the horizon of his century and that Capital, as the Economist (which Marx read faithfully) pointed out a few years back, remains startlingly contemporary even in the age of Walmart and Google. But in other cases Marx’s vision was limited by the anomalous character of his chronological niche: arguably the most peaceful period of European history in a thousand years. Colonial interventions aside, liberal London-centered capitalism did not seem structurally to require large-scale inter-state warfare as a condition of its reproduction or as the inevitable result of its contradictions. He died, of course, before the new imperialism of the late 1880s and 1890s led to zero-sum conflicts amongst the major powers for shares of the world market. Nor could Marx, even after the massacre of the Communards, have possibly foreseen the horrific price that counter-revolution in the next century, including Thermidorean Stalinism, would exact from rank-and-file anarchists, socialists, and communists: at least 7–8 million dead. Since the youngest and most politically conscious tended always to be in the front lines, these repeated decimations of the vanguard entailed incalculable consequences — ones that have been almost entirely ignored by historians. Likewise, all signs in Marx’s day pointed to the continued erosion of belief and the secularization of industrial society. After the early writings, religion was quite understandably not a topic on his agenda. By the end of the century, however, the trends reversed, and political Catholicism, along a spectrum from embryonic Christian Democracy to the Zentrum to fascism, became the main competitor with socialism/communism in much of Europe, and the major obstacle to left electoral majorities in the 1910s– 20s and 1950s–70s. This surprising Catholic resurgence, almost a second counter-reformation, owed much to the spread of Mariolatry and the church’s aggressive appeal to proletarian mothers. The patriarchal character of the workers’ movement, which Marx and Engels never challenged, made it blind to the forces at work. Despite a household full of strong, radical women, including three daughters who became prominent revolutionists in their own right, Marx never wavered as pater familias, and the movements built in his name, as Barbara Taylor and others have pointed out, actually registered a retrogression from the striking feminism of many utopian socialist sects. Indeed, between Flora Tristan and Clara Zetkin, no woman was able to claim leadership in any of the major labor or socialist formations. The point, even if initially difficult to swallow, is that socialists, if incomparably armored by Marx’s critique of capitalism, also have something to learn from the critique of Marx and his Victorian extrapolations. I say “critique of Marx” rather than “critics of Marx” since, even in the case of those who were noble revolutionary figures in their own right, such as Bakunin and Kropotkin, the mischaracterizations of Marx’s ideas were quite fantastic (as were his calumnies against them). The cult of Marx, preceded in the German workers’ movement by the cult of Lassalle, justly honored a life of almost sacrificial dedication to human liberation, but otherwise did what all cults do — it petrified his living thoughts and critical method. He, of course, was aware of this danger, which is why he famously said of Jules Guesde and his “orthodox Marxist” wing of the French Workers Party: “Ce qu’il y a de certain c’est que moi, je ne suis pas marxiste” (“What is certain is that [if they are Marxists] I myself am not a Marxist”). How many more times would he have had to say that in the twentieth century?